The New Hampshire Golf Association (NHGA) is excited to announce that Manchester Country Club (MCC) has returned to the NHGA future championship schedule as they are set to host the 2021 New Hampshire Open Championship presented by Xfinity and 2023 New Hampshire Amateur Championship presented by Audi of Nashua. 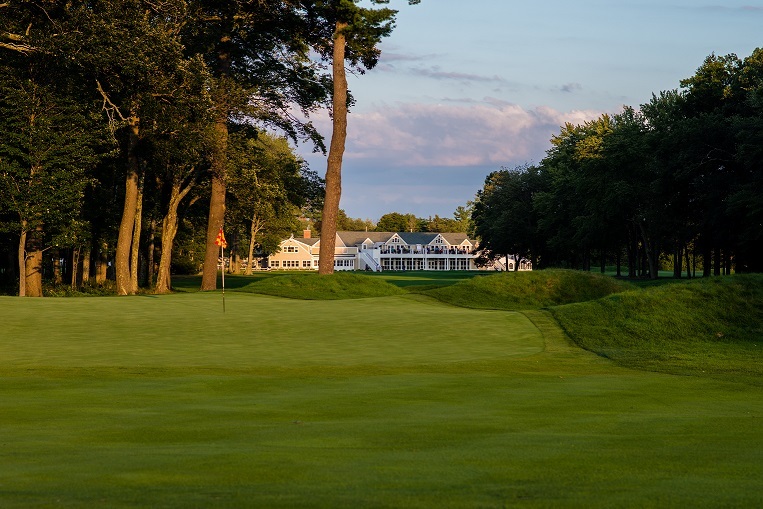 Manchester Country Club and the NHGA have a long history together, dating back to 1925 when MCC hosted its first New Hampshire major championship – the 1925 New Hampshire Amateur. From there, MCC has gone on to host more than 25 NHGA championships, including ten New Hampshire Open Championships and 14 New Hampshire Amateur Championships. Most recently, MCC was host to the 2017 New Hampshire Open presented by Xfinity where David Pastore pulled off the victory in a two-hole playoff. “Our roots are in championship golf and we are fully invested in continuing that legacy at our Club and with the NHGA, as we head toward our 100-year anniversary,” said Brian Kelley, general manager of Manchester Country Club. First open in 1923, MCC will reach its Centennial year in 2023 and the NHGA is honored to be a part of that with the New Hampshire Amateur Championship. With the recent addition of their championship set of tees, the course stretches out to just over 6,800 yards with classic undulating greens and a layout well-known to Donald Ross designs. The club has also embarked on an extensive restoration project to bring back some of the features that were lost over the years, including cross bunkers and fescue mounds. The New Hampshire Open Championship is a three-day, 54-hole championship that draws some of the top professional and amateur golfers from around the country. Some of the notable past champions of the New Hampshire Open are Grayson Murray, who now competes on the PGA Tour, and Geoffrey Sisk who has played in seven U.S. Open Championships and two U.S. Senior Open Championships. The New Hampshire Amateur Championship is a six-day tournament designed to highlight the best amateur golfer in the Granite State each year. Beginning with 36 holes of stroke play qualifying, the field is cut to 64 players who go on to compete in match play to determine the champion. The NHGA is excited to be heading back to Manchester Country Club to continue the tradition of championship golf at one of the Granite State’s most prestigious golf courses. Manchester Country Club is professionally managed by Troon Privé, the private club operating division of Troon. Headquartered in Scottsdale, Ariz., Troon is the world’s largest golf management company providing services at more than 360 locations around the globe, including 280 golf courses at 246 facilities. In addition to golf, Troon specializes in homeowner association management, private residence clubs, estate management and associated hospitality venues. Troon’s award-winning food and beverage division operates and manages more than 150 restaurants located at golf resorts, private clubs, daily fee golf courses and recreational facilities. With properties located in 35 states and 30 countries, divisions of Troon include Troon Golf, Honours Golf, Troon Privé (the private club operating division of Troon), Troon International and Cliff Drysdale Management. There are currently 60 Troon-affiliated properties featuring 80 golf courses on national and international “Top 100” rankings. Troon-affiliated properties include Bayside Resort Golf Club in Selbyville, Delaware; Kapalua on Maui, Hawaii; Mauna Lani on the Kohala Coast on Hawaii; Pronghorn in Bend, Oregon; Lofoten Links in Norway; and Mollymook Golf Club in Australia. For additional news and information, visit www.Troon.com.